For over 50 years, every wire formation produced by Salco Engineering went through an elongated process. This process involved straightening the wire, doing simple bends, cutting, and finally forming it into the exact style necessary to complete the work order. From start to finish, the process included several stations, loads of manpower, and lots of labor related costs. In July of 2015, this process received a much needed, modernized facelift. “We took a lot of time to research and learn about the wire bender before we purchased it. We had to make sure we understood its capabilities, and that it made sense for our customized products,” said Jim Flack, Salco President. Jim, along with son David Flack (VP of Sales and Head Estimator), Chris Gancsos, Marketing Manager, and Solidworks designer, Dave Lewis, made multiple trips to Elk Grove Village, Illinois, where the worldwide manufacturer, Numalliance, operates its United States headquarters. The FTX10 Wire Bending Machine was purchased just before Salco moved to their new location. The computer numerical control (CNC) machine has the capability to run wire, tube flat stock, and spring wire from a coil of material. It straightens, bends and cuts the wire within 1/1000th of an inch, a function necessary for the custom work which Salco does. Along with being incredibly precise, it expedites the entire process, keeps an accurate log of how much was produced, and all but eliminates error completely. With the purchase of the CNC bender, also came the addition of a new employee. Robert Bulloch joined forces with Salco in mid-July and came with 3 years of experience running such a machine. “He’s been a game changer,” said David Flack, who knew basics about wire bending machines, but simply did not have the hours to learn it thoroughly. “It [the machine] can do some pretty neat stuff, and I’m thankful we have the right guy on board for the task.” Bulloch works with the design team during the initial stages of the project. Since the CNC machine is able to produce parts so rapidly, it allows for prototyping to happen alongside design changes. 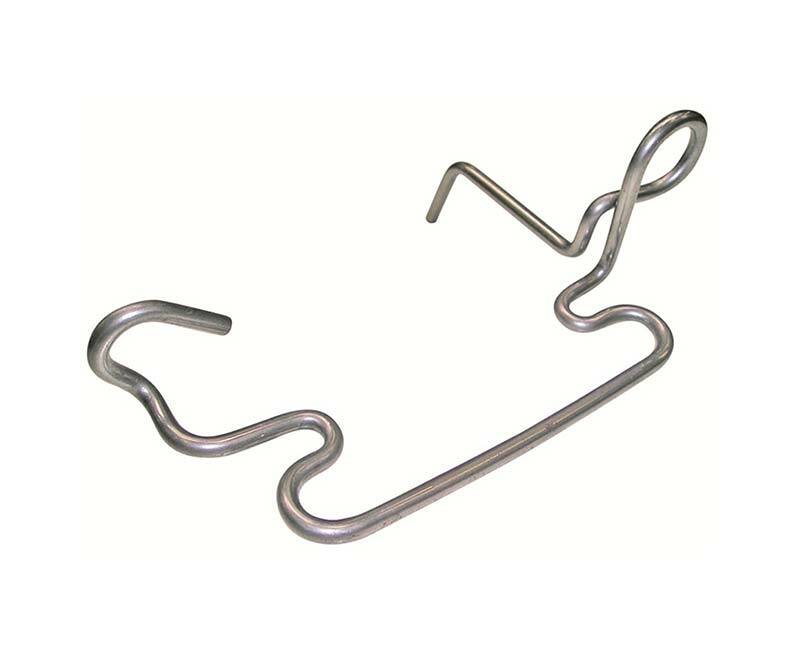 Prior to using the CNC, Salco was unable to produce 3D wire formations, hooks, or complex bends in house. The company was forced to purchase such items from an outside vendor. And now, all of that can be done with one machine and from within the company. In just over 4 months of running the FTX10, it has been in production for more than 200 hours. That breaks down to average 2.5 hours of continuous work per eight hour shift. Depending on the project specifics; number of bends, length and gauge of the wire, the CNC produces a number of parts per hour, ranging from 100 pieces to upwards of four thousand.